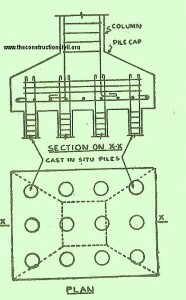 Cast-in-situ piles are those piles which are cast in position inside the ground. Since the cast-in-situ piles is not subjected to handling or driving stresses, it is not necessary to reinforce the pile in ordinary cases or in places where the pile is completely submerged in the soil. Reinforcements are necessary to be provided in a cast-in- situ piles, when the pile acts as a column and is subjected to a lateral forces. 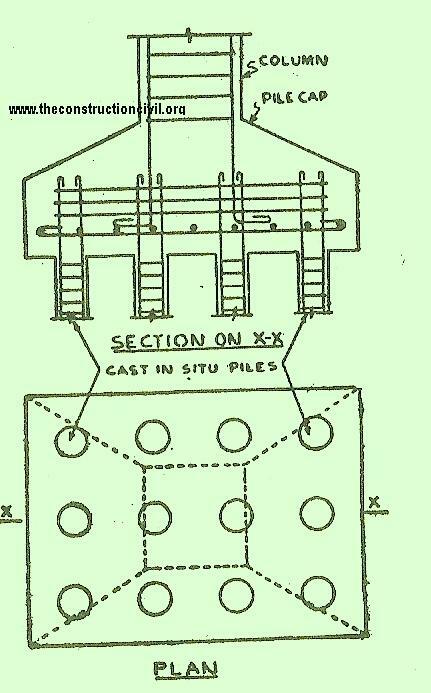 Cast- in-situ piles can be divided into two types. In one the metallic shell of the pile is permanently left in place inside the ground along with the core while in the other type the outer shell is withdrawn.